For Rides and Rates, Please choose from the options on the left! This is an exclusive hot air balloon proposal charter. It is the perfect for the event and celebration of your engagement and celebratory brunch. You, your bride to be, and the pilot are going to be the only people in the gondola. This Charter may be custom arranged for an array of unique and creative ways to propose. Guru Balloon can help your team realize these dynamic tools for success! Authenticity means being truly who you are – showing your employees not only your forte but also your your imperfections, etc. When you – as the boss of your team – are authentic and have integrity inside the team you lead, you begin to plant the seeds of trust. When you build trust in your team, your employees experience the freedom to sincerely speak up their minds. When there is candor and as a consequence there are open disagreements within a team, conflict is inevitable. Trust together with candor and productive conflict, are the fundamental building blocks in creating clarity among your employees – clarity around direction, priorities, objectives, decisions, etc. Commitment is the team’s capacity to make a decision without everybody’s agreement, genuinely buying into the decision, and moving on. Accountability is when team members (not only the team leader) support each other, encourage each other, and remind each other about performance standards. Results are the compass and the true measure of any team – results must be what drives the behavior of each individual team member. Hence, results must always come before individual agendas. When your behavior – as the leader of your team – is aligned with your team’s results (what matters the most), you retain achievement-oriented direct reports, you minimize individualistic behavior among your employees, and you create a culture where your direct reports subjugate their own interests for the good of your team and for the good of your entire organization. This is an exclusive hot air balloon ride. It is the perfect for any celebration or private event. arranged to your budget and desires. 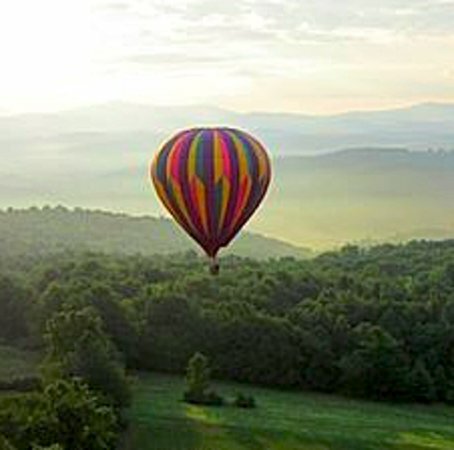 A hot air balloon ride with Guru Balloon above the Adirondack foothills of Up-State New York will promise views that will inspire astonishment from the the most experienced thrill seekers to Native hikers and Climbers to the elite 46er. FAA Certified Commercial Pilot and Flight instructor LTA Balloon, Adam Carusone a native of The Adirondacks brings Experience, Safety, Navigation, Education, and Inspiration into each and every flight. Thank you for your time and consideration in choosing Guru Balloon!